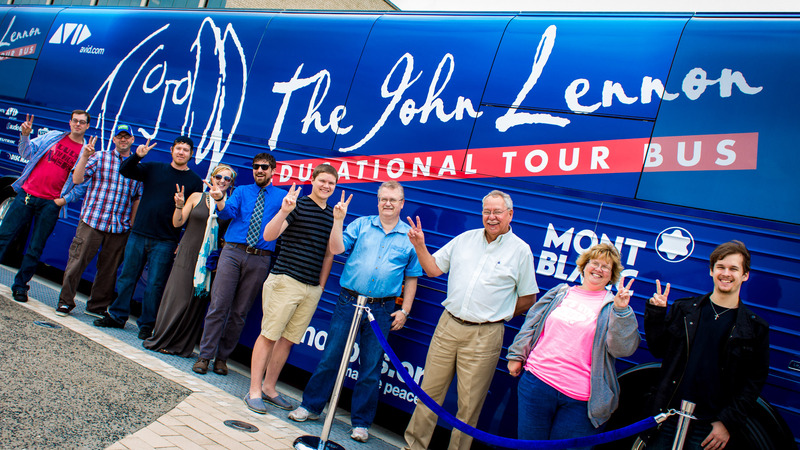 On May 23rd, we stopped in Owensboro, Kentucky for a day of tours of the public. 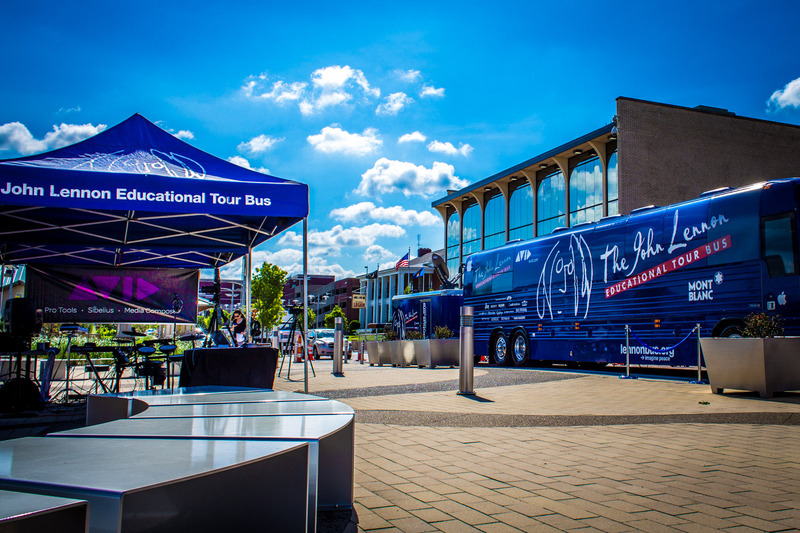 Along with with NAMM and the Owensboro Music Center, the bus stayed open for anyone to come by, see what the mission is about, learn a bit about John and see some work students of the past have done. 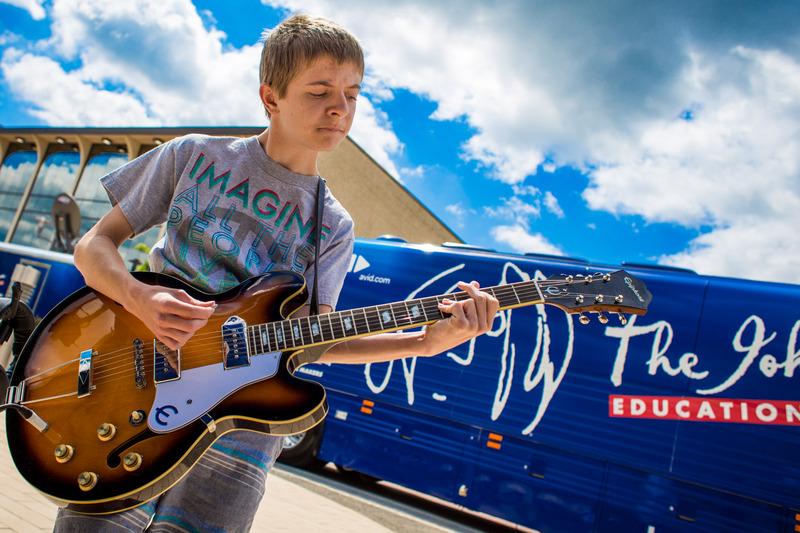 Tents were set up outside for anyone to come by, take a photo in the Lennonbus Photo-booth and jam out in the tents. Gordy from NAMM spend the day with us as well and sat down on the bus for an interview about NAMM and why music education is vital. The bus parked up at 100 Veterans Blvd. One of the afternoon tour groups.